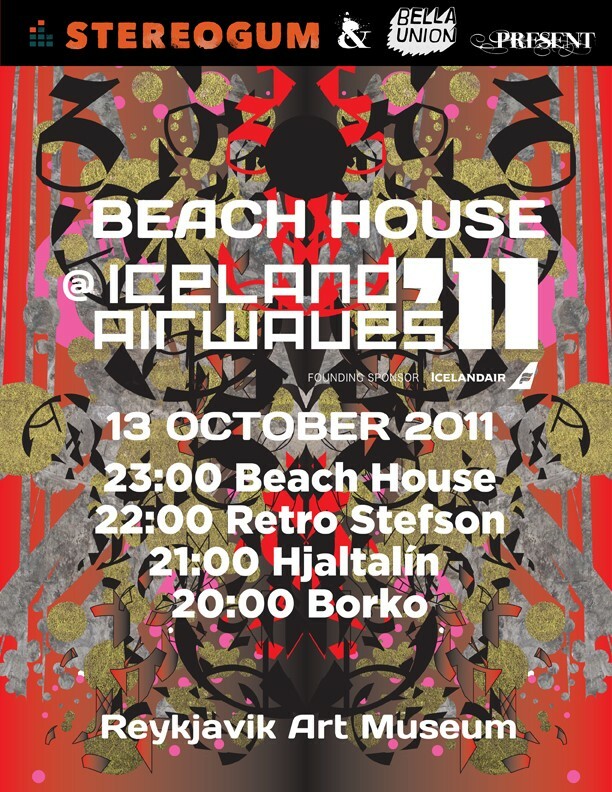 Next week, Stereogum is putting on a show a little further from the south side of Williamsburg than we’re used to: We’ve teamed up with Bella Union to present a night of music in Iceland’s Reykjavik Art Museum, headlined by the great, Scandinavia-loving American band Beach House. The undercard features some regionally homegrown talent — Borko, Hjaltalín, Retro Stefson — and the event comes as part of this year’s Iceland Airwaves festival. Scott and I will be there for our first time, and for the duration, reporting on both the local scene and how it feels to be so short and unattractive in relation to it. Seeing Beach House overseas will be great, especially since it was just around this time five years ago that we had our first encounter with the band, at a tiny, unforgettable Cake Shop set during CMJ 2006. On that note, though: If for whatever reason you can’t make it to Reykjavik next week, please don’t worry — over the next four days we will be announcing a couple of shows situated squarely in the south side of Williamsburg that we expect you to attend. Don’t lock in your CMJ schedules until you’ve heard about them. They’re worth it. See you next week, Iceland. If you have some tips, on bands or restaurants or bars or how to recreate this Bon Iver video, please let us know.